Once property of George W. Vanderbilt, and considered the birthplace to modern forestry in America, Pisgah is home to old-growth forests and the highest mountain peaks east of the Mississippi. 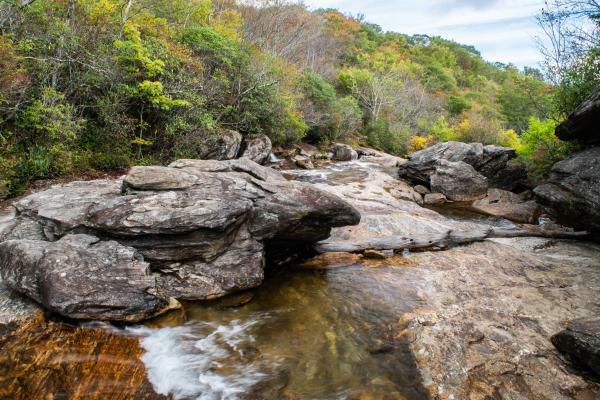 Pisgah National Forest is comprised of more than 500,000 acres of hardwood forest, mile-high mountain peaks, whitewater rivers, thundering waterfalls and hundreds of miles of top hiking trails. It&apos;s no wonder, this area is considered one of the nation&apos;s best for outdoor recreation. Pisgah National Forest (pronounced PIZ-guh) is located in Western North Carolina, both to the north and south of Asheville. The nearest access point to Pisgah National Forest is less than 10 minutes from downtown Asheville. Among its claims to fame, Pisgah National Forest is home to the United States&apos; first forestry school, which you can see today at the Cradle of Forestry in America historic site. And, the Forest is the site of two of the first designated wilderness areas in the Eastern United States—Shining Rock and Linville Gorge. Parts of Pisgah National Forest are considered a temperate rainforest because of its climate and annual rainfall. 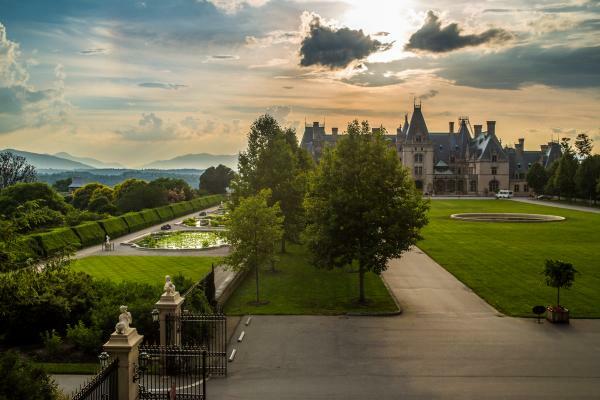 Nearly 100,000 acres of the forest near Asheville was once part of Biltmore Estate, the site of America&apos;s Largest Home. When you venture into the great outdoors in and around Asheville, chances are you&apos;ll be exploring a part of Pisgah National Forest. 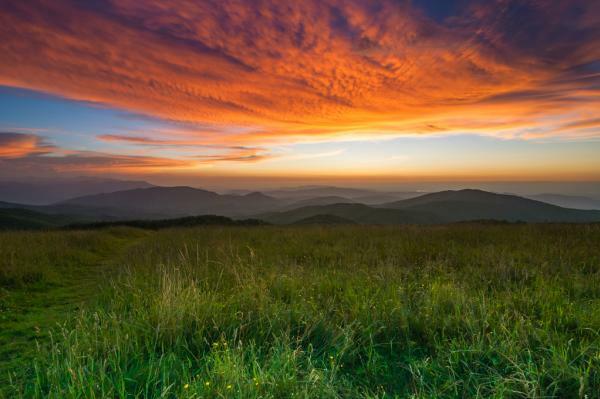 From hiking trails to scenic drives to main attractions, Pisgah National Forest has it all. The forest is broken into three main Ranger Districts. The Pisgah Ranger District lies on either side of the Blue Ridge Parkway south of Asheville. The Appalachian Ranger District includes the area northwest of Asheville along the North Carolina/Tennessee state line and the area northeast of Asheville that includes Mount Mitchell. The Grandfather Ranger District includes the land farther north and east, such as Linville Gorge. 1. Scenic Drives: The Blue Ridge Parkway, America&apos;s favorite scenic drive, travels through large parts of Pisgah National Forest to the north and south of Asheville. In Asheville, there are four main entrances to the Parkway. See our guide to the Blue Ridge Parkway to learn more! Another popular scenic drive is the Forest Heritage Scenic Byway (US Highway 276), which connects to the Blue Ridge Parkway at milepost 411.9. Featured along this 15-mile stretch are top attractions including Looking Glass Falls, Moore Cove Falls, Sliding Rock natural waterslide and the Cradle of Forestry historic site. The Forest Heritage Scenic Byway entrance is near the city of Brevard, just 30 miles south of downtown Asheville. 2. 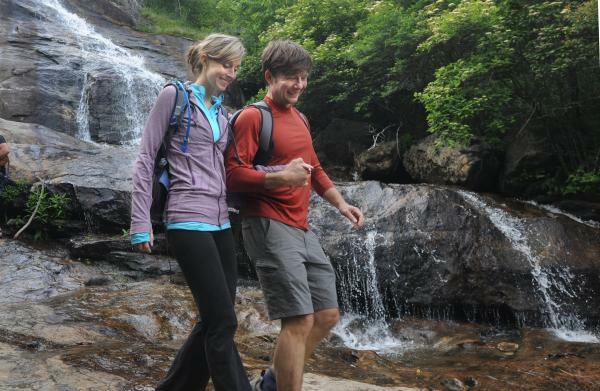 Hiking: Pisgah National Forest offers some of the region&apos;s best hiking trails. Explore waterfalls, the highest peaks in the East, beautiful vistas and old-growth forests. Hikes range from easy to strenuous. Check out our Asheville hiking guide to begin planning your trail adventure. 3. Picnicking: There are numerous picnic areas, picnic tables and picnic shelters throughout Pisgah National Forest. 4. Mountain/Road biking: There are dozens of mountain biking areas throughout the National Forest. These areas include Bent Creek Experimental Forest in south Asheville. COST: It is free to access Pisgah National Forest. Individual attractions, such as the North Carolina Arboretum and the Cradle of Forestry do require admission. HOURS: The forest is open to the public 24 hours a day, 7 days a week. Some recreation areas may have their own hours. ACCESS: Pisgah National Forest can be accessed by nearly all major highways. The two primary scenic drives are the Blue Ridge Parkway and the Forest Heritage Scenic Byway (US 276). VISITOR CENTERS/INFORMATION: The main visitor center for Pisgah National Forest is located at the Pisgah Ranger District Station located at 1001 Pisgah Highway, Pisgah Forest, NC. The following other offices are not visitor centers but do provide visitor information: Appalachian Ranger District office (632 Manor Road, Mars Hill, NC) and The Grandfather Ranger District (109 Lawing Drive, Nebo, NC). PETS: Pisgah National Forest is pet-friendly. Dogs are welcome as long as they are on leash. Much of what is now Pisgah National Forest was once home to the Cherokee. It was the Reverend James Hall who is considered the first person to call the region "Pisgah." He named an iconic peak "Mount Pisgah," a reference to the Biblical peak where Moses viewed the promised land. More than a hundred years later when George Vanderbilt constructed Biltmore in the 1890s, Vanderbilt sought to create a forest reserve as part of the estate. He enlisted Gifford Pinchot and Carl Schenck to manage the forest and establish the first forestry school in America. Pisgah National Forest was established in 1915 when the Vanderbilt family sold the federal government 86,700 acres of forest land. 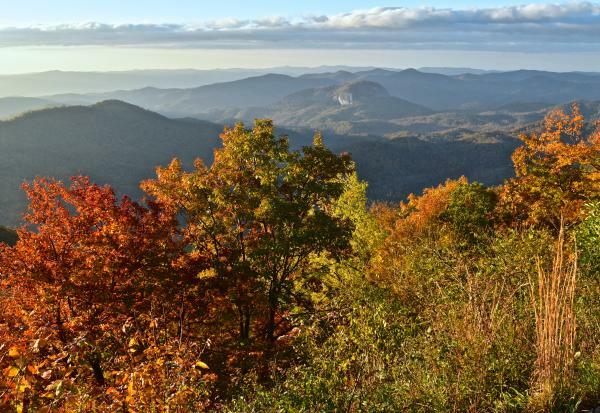 Today, Pisgah National Forest encompasses 500,000 acres and 15 North Carolina counties.